VOSTOK (Russian: BOCTOK) Watch Makers, Inc. produces mainly rugged military and diver mechanical watches at its factory in Chistopol, Russia. It also makes clocks and watch movements for other watch brands. 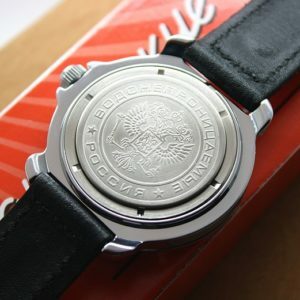 The Vostok Company was founded in 1942 when one of the Moscow watch-making plants of the First Moscow Watch Factory was evacuated to Chistopol, a small town located on the Kama River in Tatarstan. Only defense equipment was produced during the war years, but as soon as the war was over the company started making mechanical wrist watches. However, the Company did not begin using the “Vostok” brand name until the 1960s. *Presumable “Vostok” brand was named after the Vostok space program, which gave the initial advancement of the USSR in the Space race (as some others soviet watch brands, named to space topics in 1960s – Poljot and Raketa). The company was appointed an official supplier of watches for the Defense Department of the Soviet Union in 1965. This year also marks the creation of the well known Komandirskie (“Commander’s”) watch. 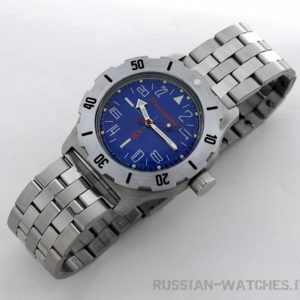 Watches sold to the military were marked “3AKA3 MO CCCP,” meaning “By Order of the Ministry of Defense of the USSR”. These models were sold exclusively through Voentorg stores, which catered to military personnel with identification only. 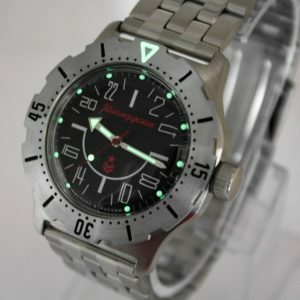 The experience gained through development of the army watch led to the Amphibia, a stainless-steel watch able to withstand a 200 meter depth (20 atm). By 1980, Vostok Watch Makers was producing 4.5 million timepieces per year. 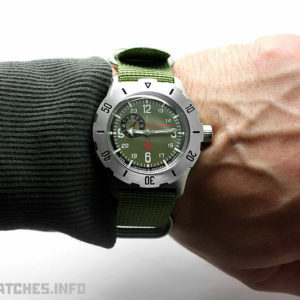 At turn of the 21st century, Vostok launched a line of 1940s-style replicas called the Kirovskie K-43 collection. 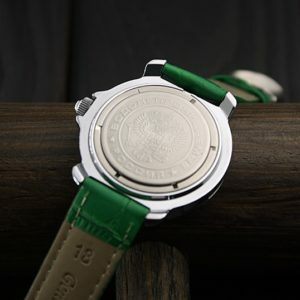 Vostok also began producing a “luxury” line of watches called Kremlevskie. Both lines are made of stainless steel, produced in limited quantities, and aimed toward a more affluent consumer. In 2004, Vostok Watch Makers began supplying movements to the Koliz Company of Lithuania, makers of the Vostok Europe brand of timepieces.